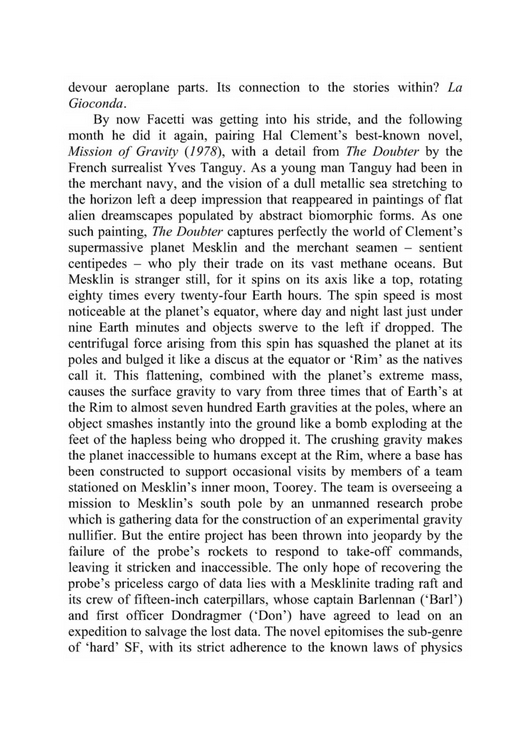 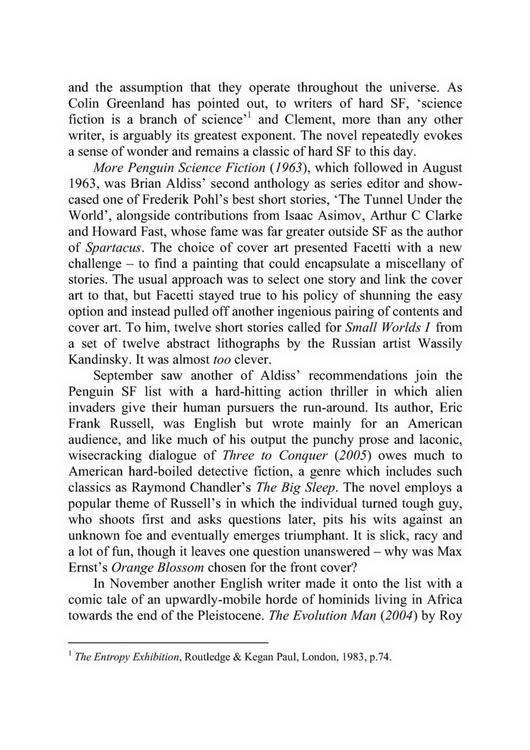 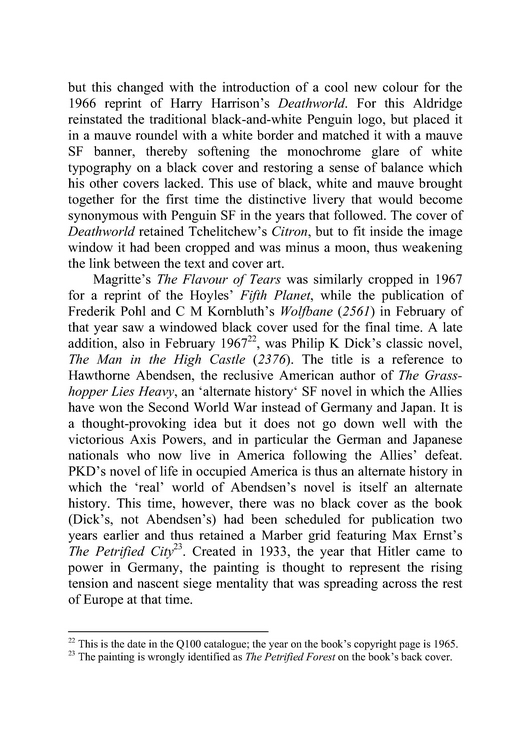 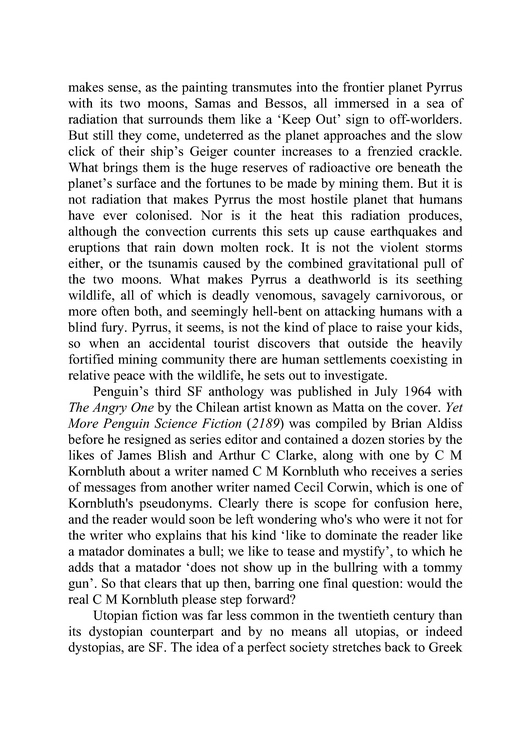 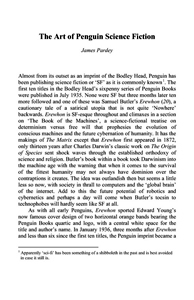 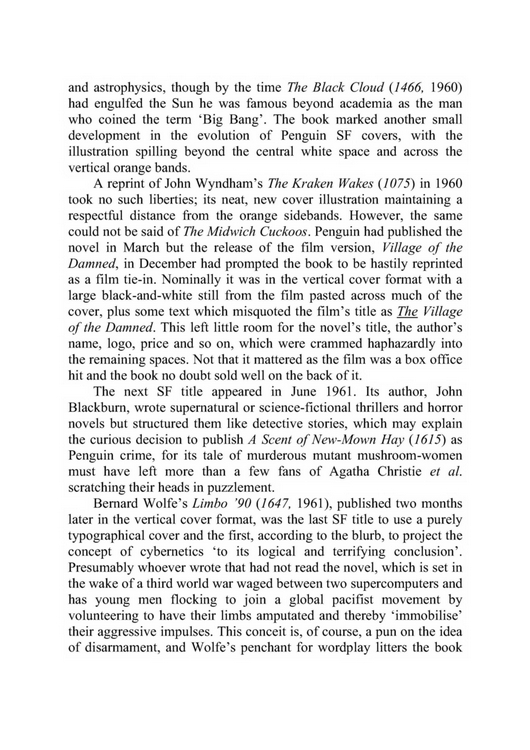 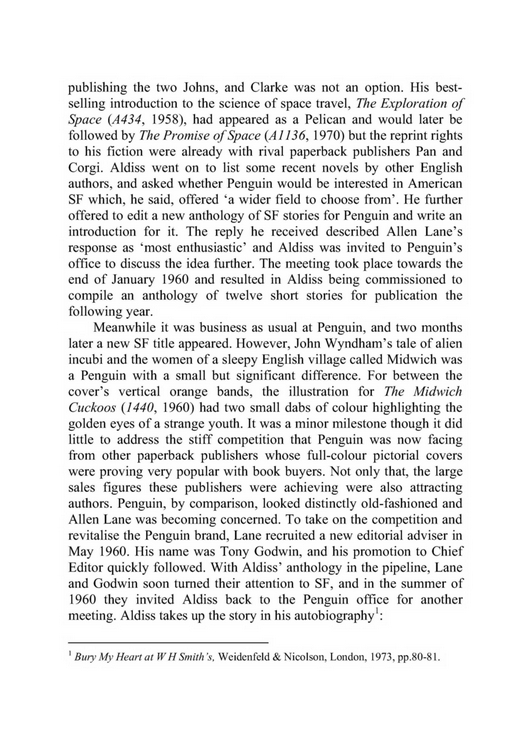 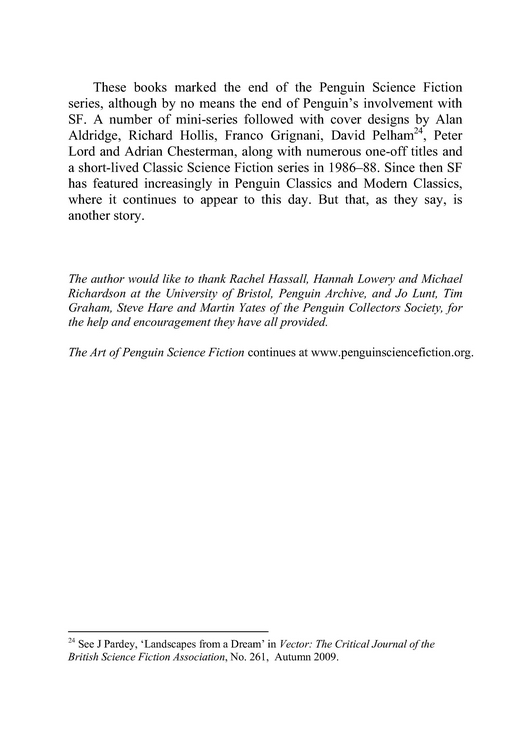 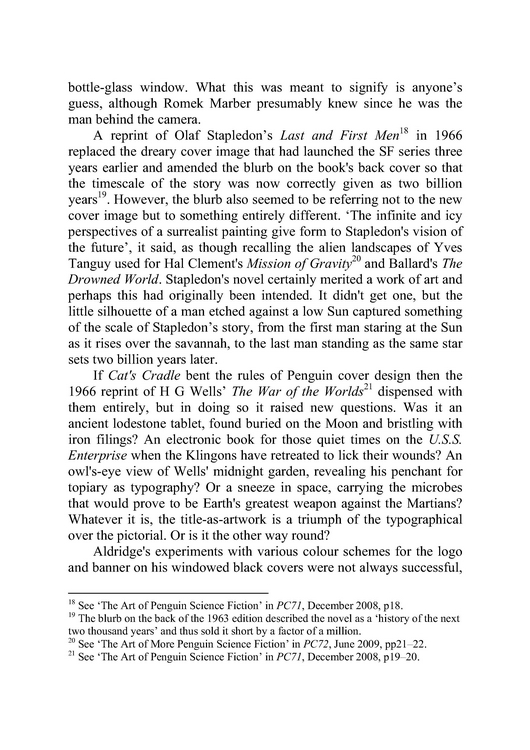 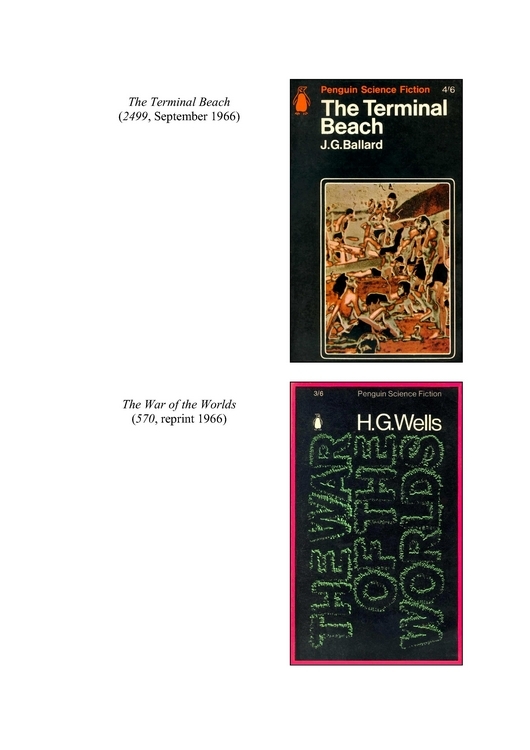 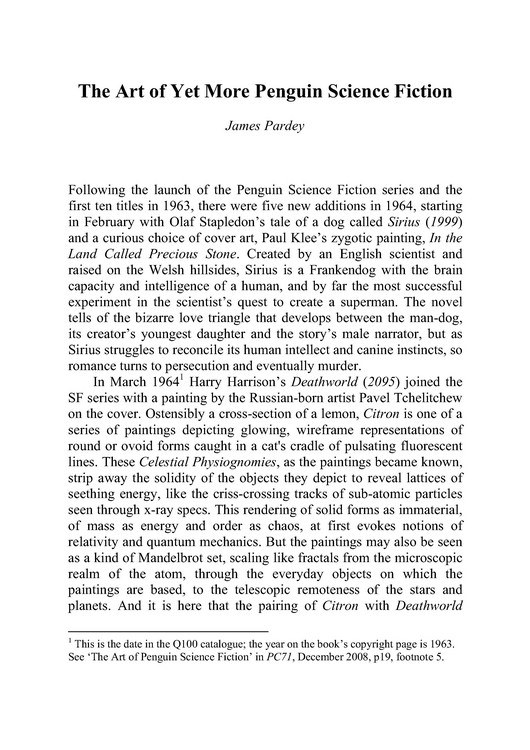 In addition to this website, the art of Penguin science fiction is explored in a series of articles in The Penguin Collector. 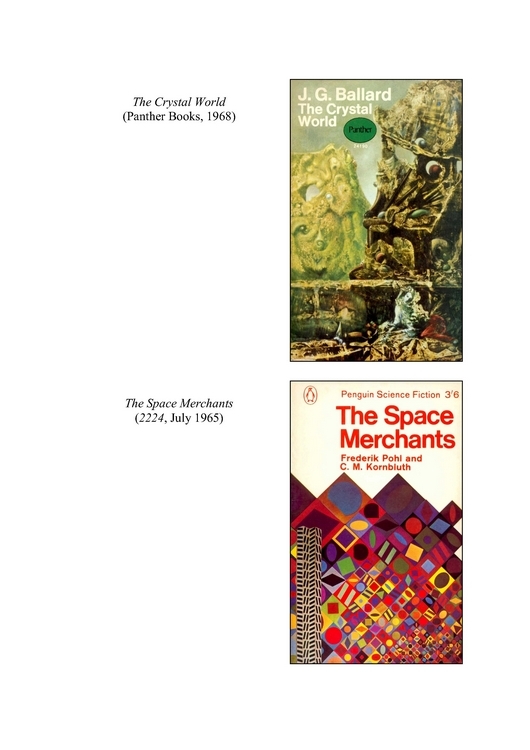 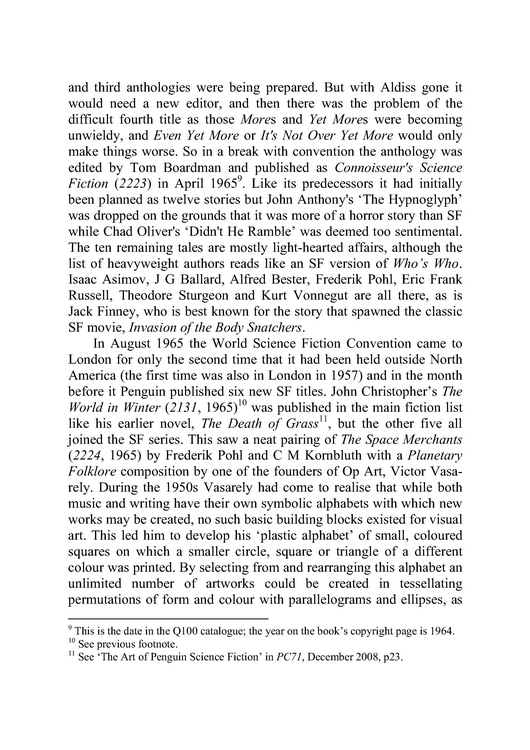 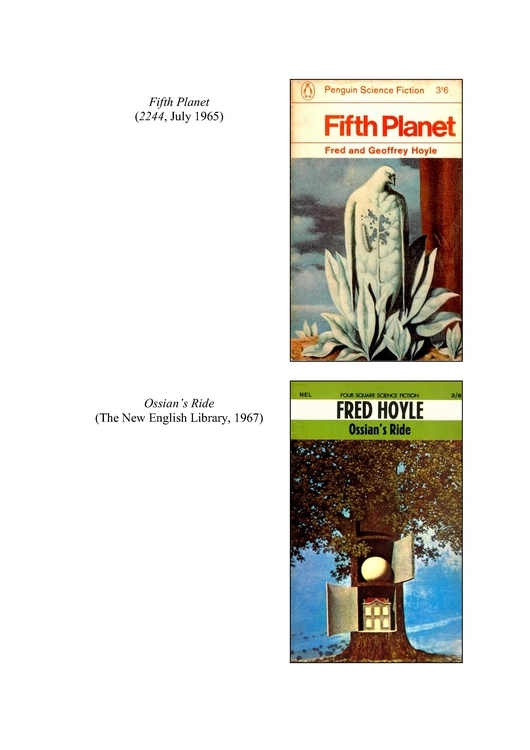 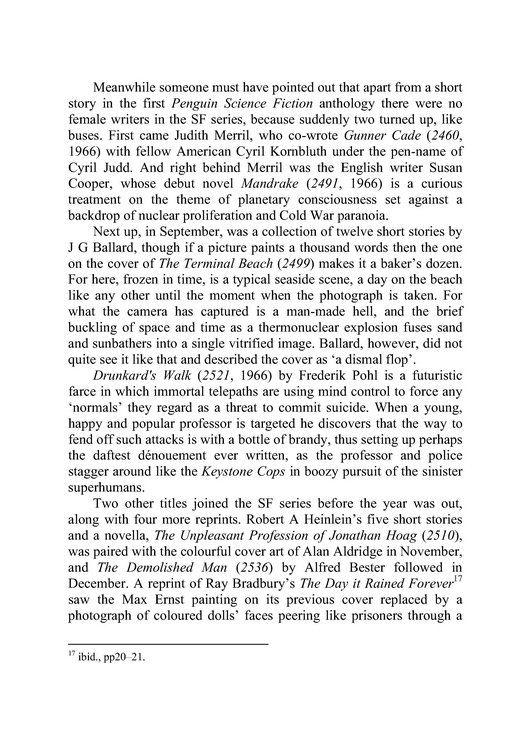 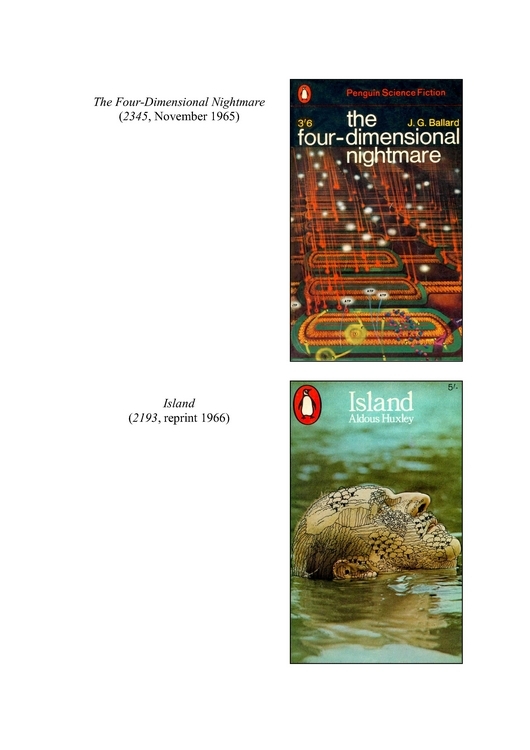 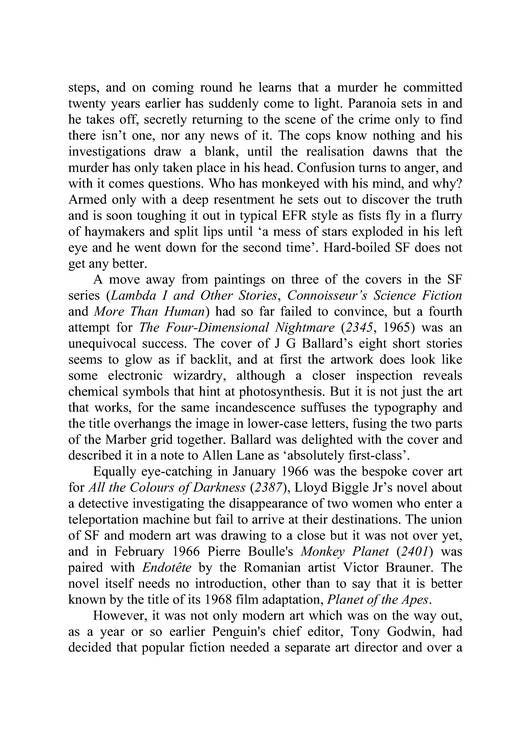 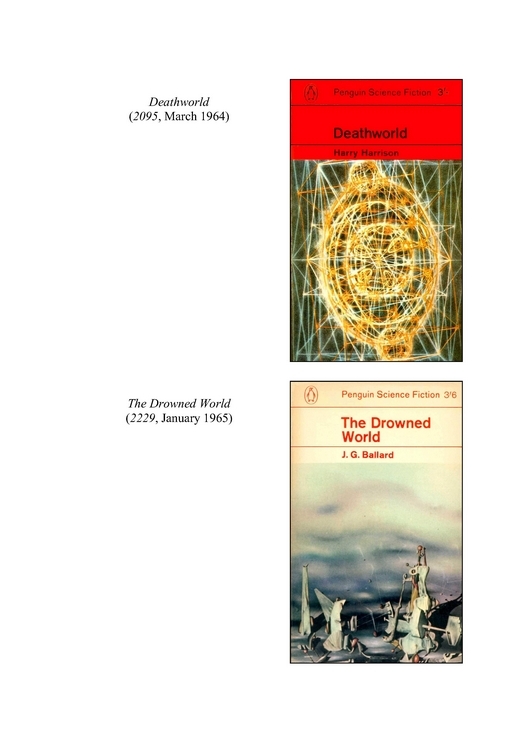 These begin with the early years from Erewhon to Quatermass and continue with the Marber grid, the Penguin Science Fiction series and Germano Facetti's use of abstract and surrealist paintings on the books' front covers. 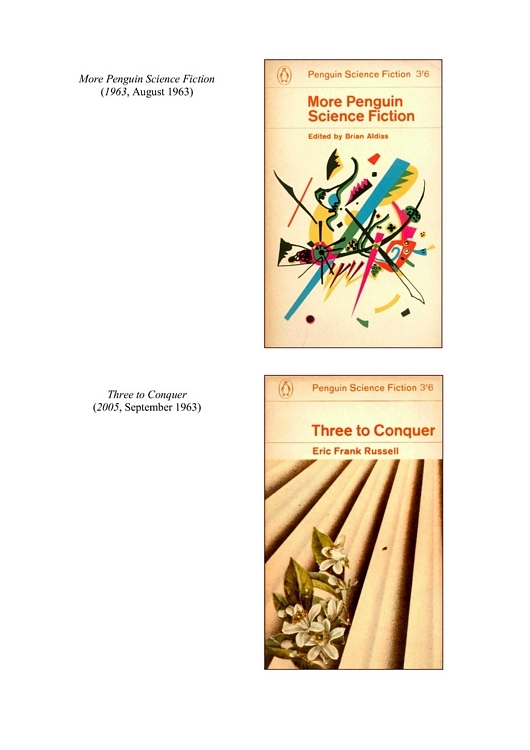 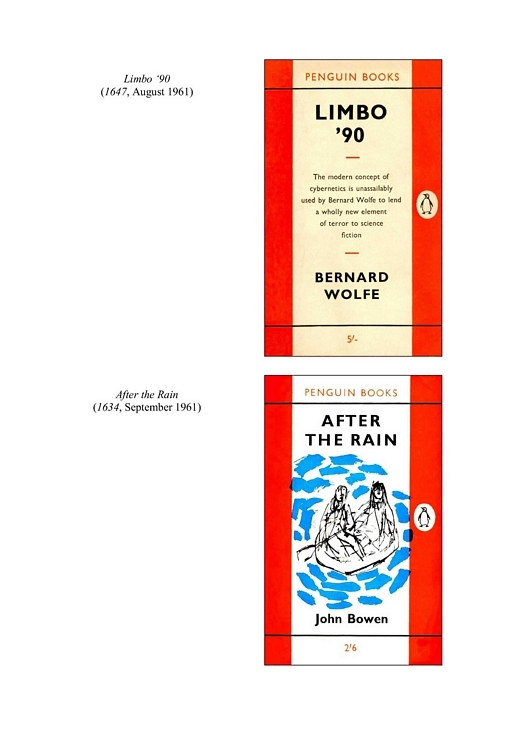 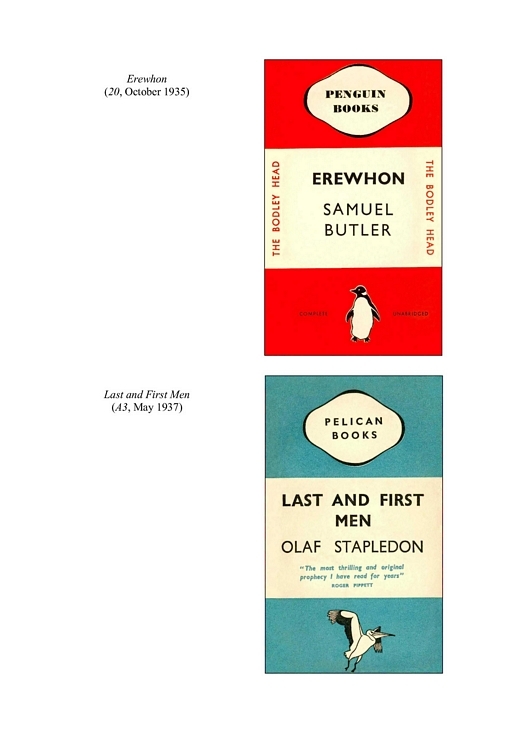 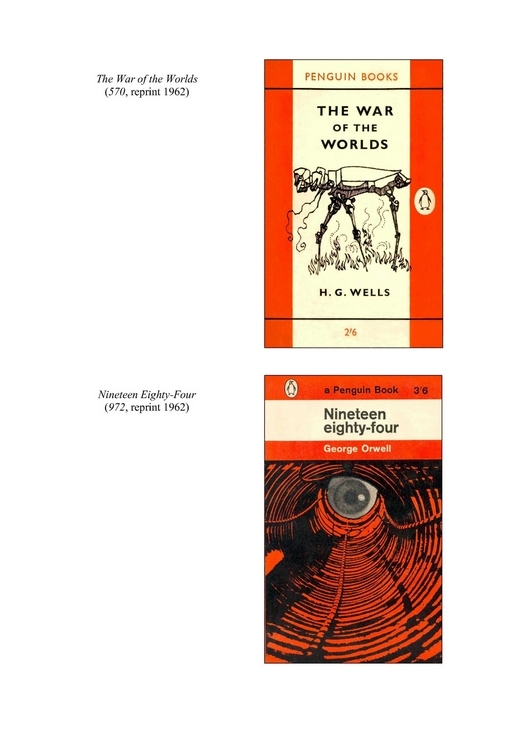 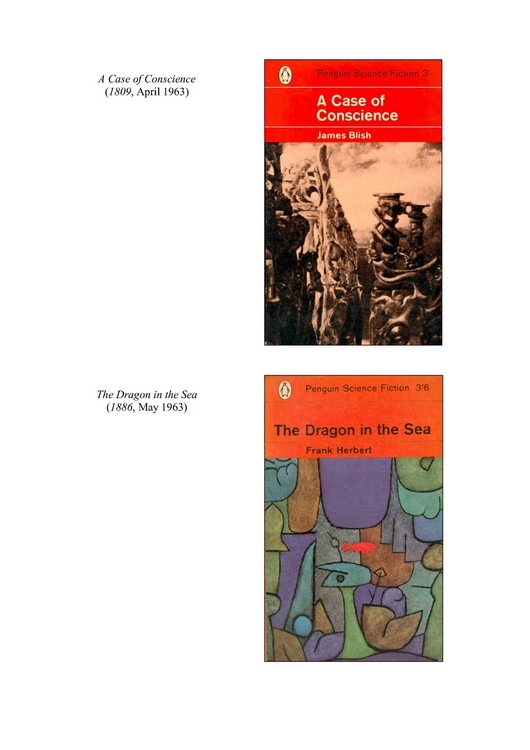 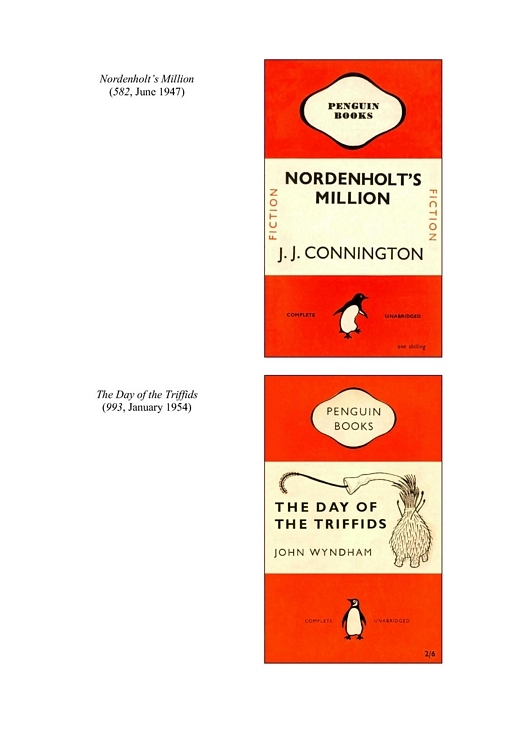 Invariably subtle, often ingenious and sometimes playful, Facetti's linkage of contents to cover art set the sf series apart and introduced a new look for Penguin Books which was later extended to the « Penguin Modern Classics ». 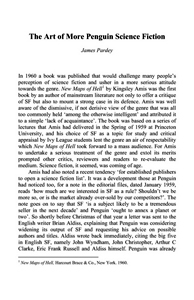 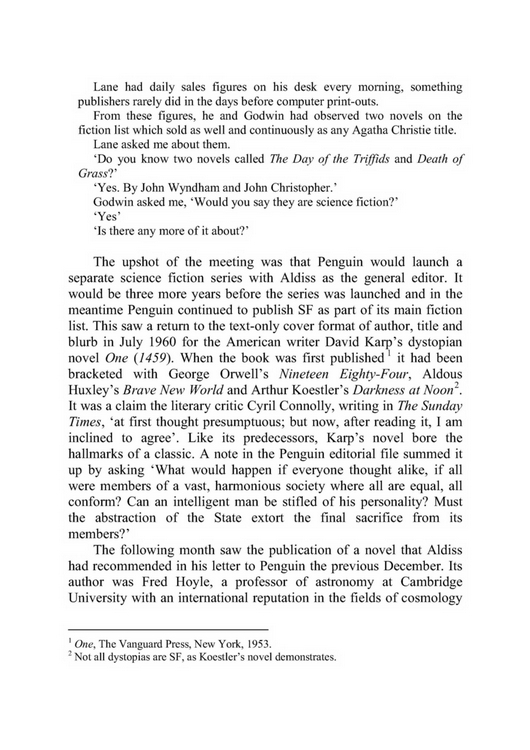 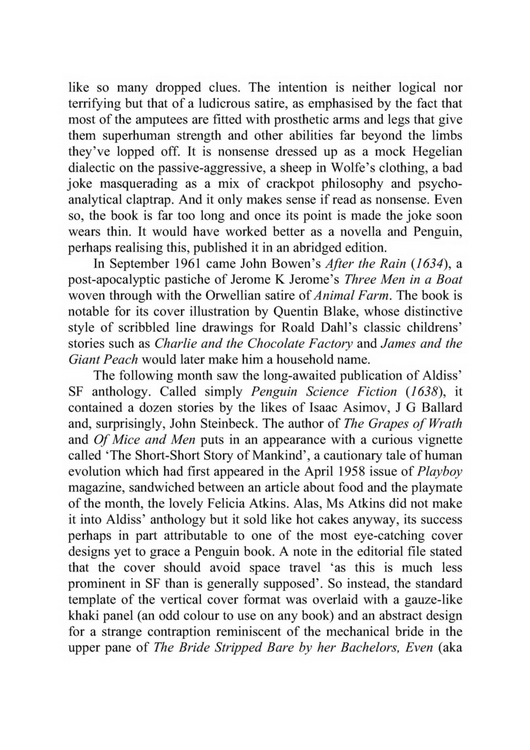 Published in The Penguin Collector, December 2008. 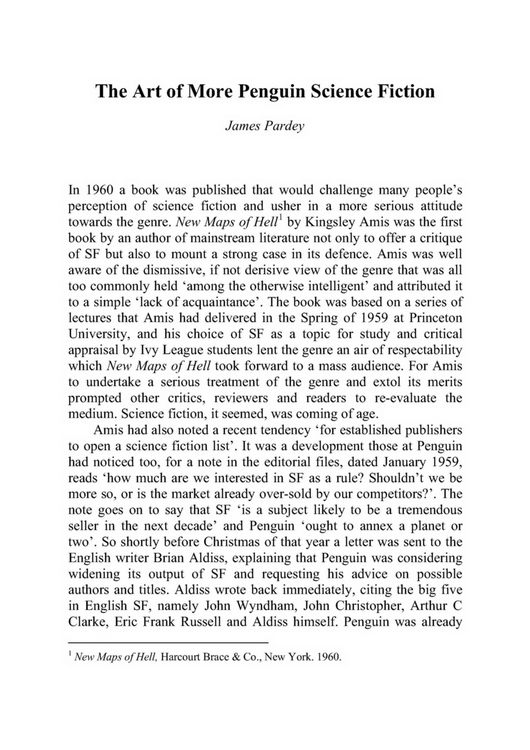 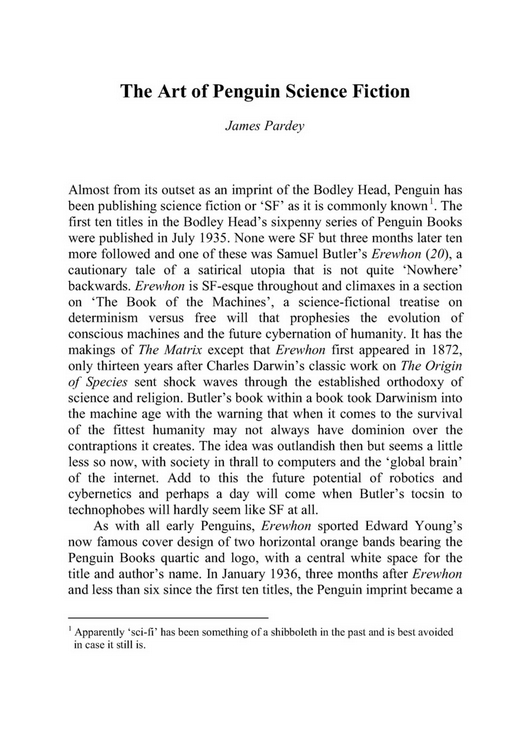 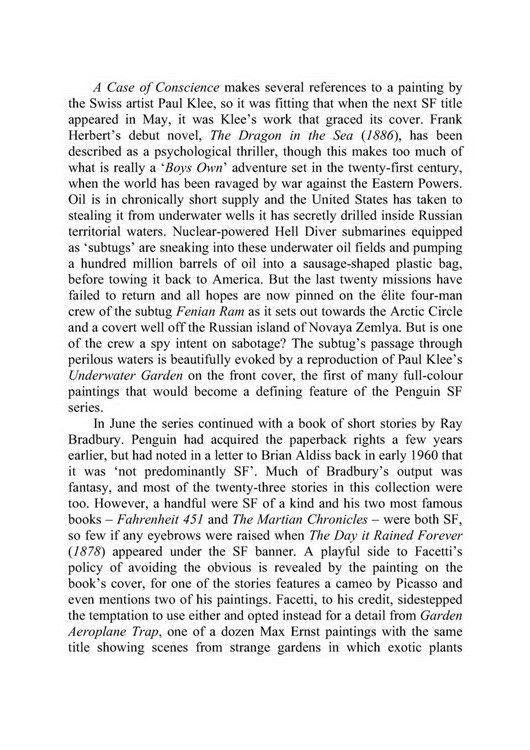 Published in The Penguin Collector, June 2009. 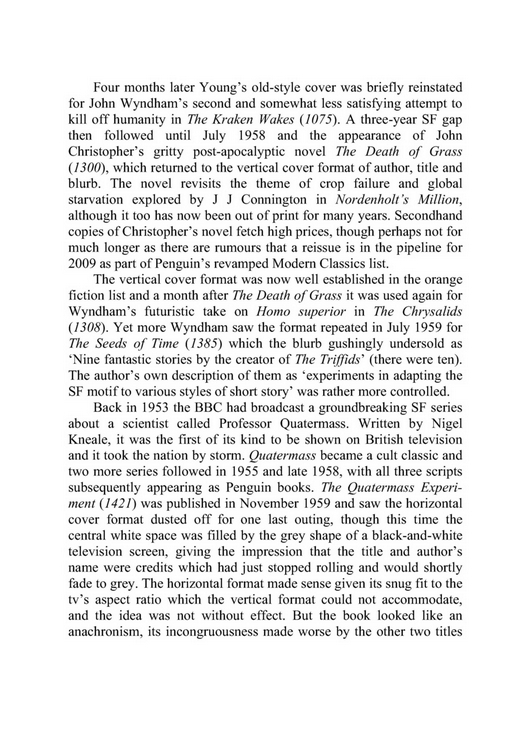 Published in The Penguin Collector, December 2009. 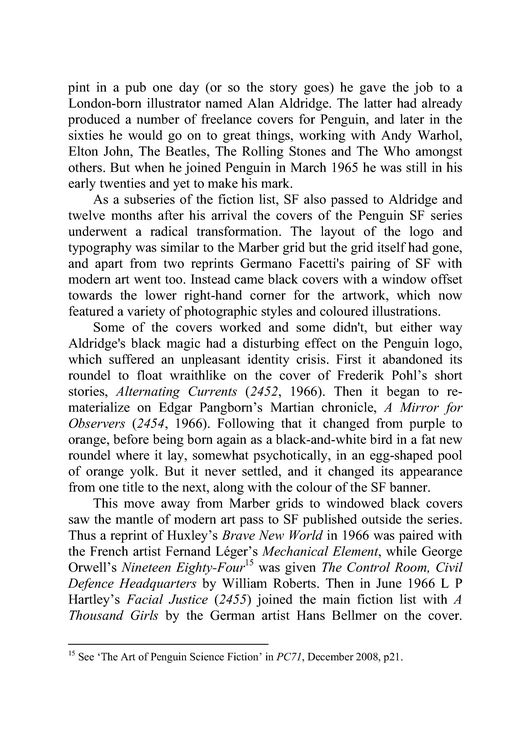 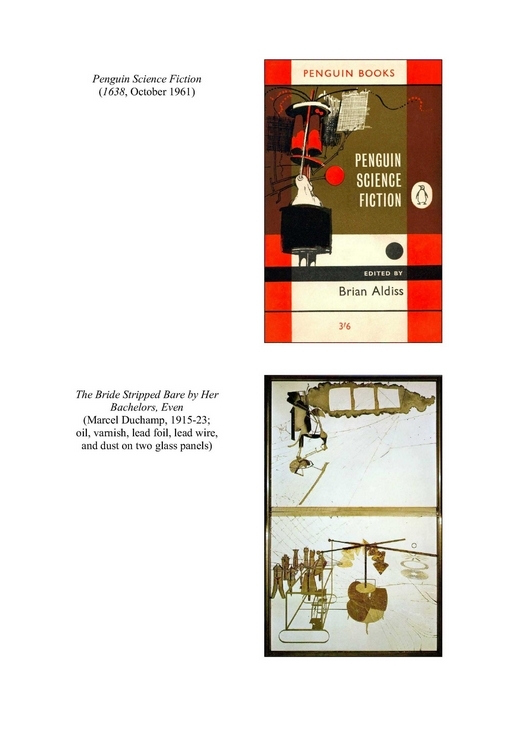 Penguin sf also appears in the work of the artist Harland Miller, whose large-scale paintings based on vintage Penguin covers were exhibited at London's White Cube gallery in 2002. 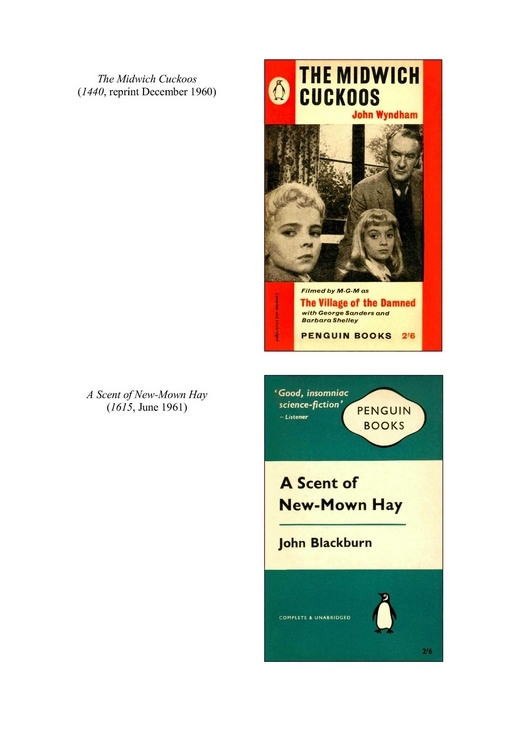 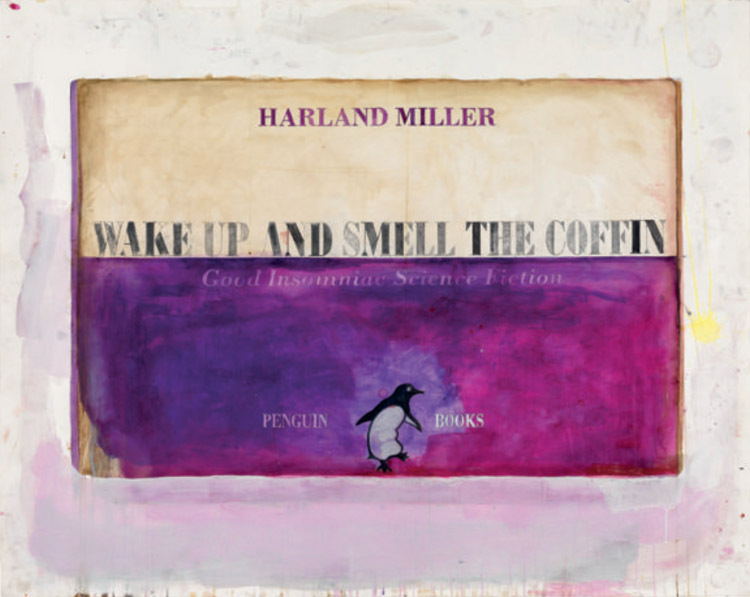 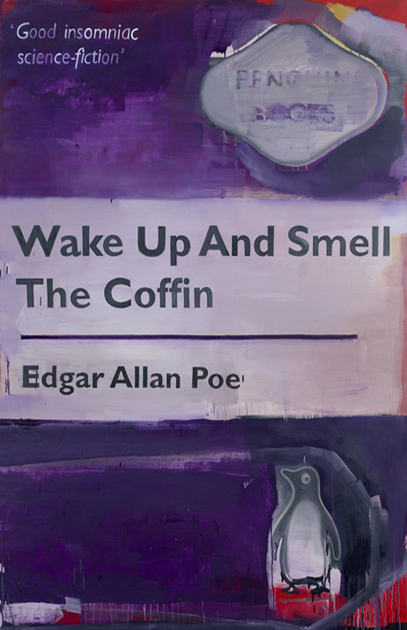 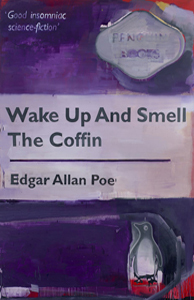 Wake Up and Smell the Coffin uses the cover layout and 'good insomniac science fiction' strapline from the 1961 Penguin edition of John Blackburn's « A Scent of New-Mown Hay » and was part of a Poe-themed exhibition Miller co-curated at White Cube in 2008. 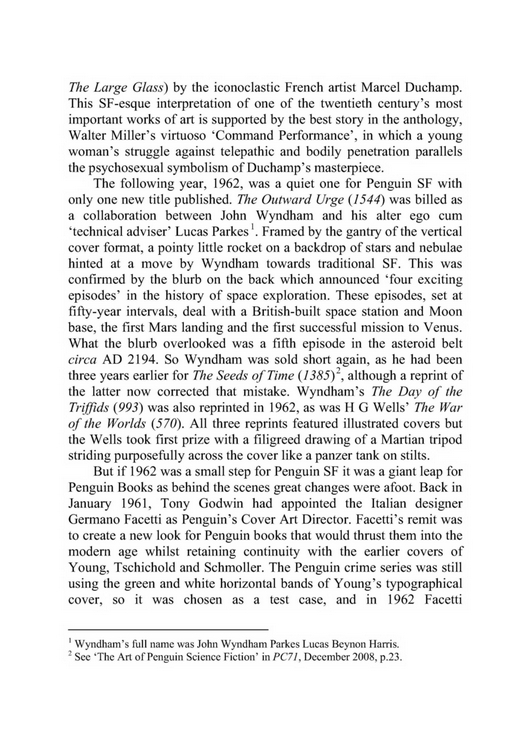 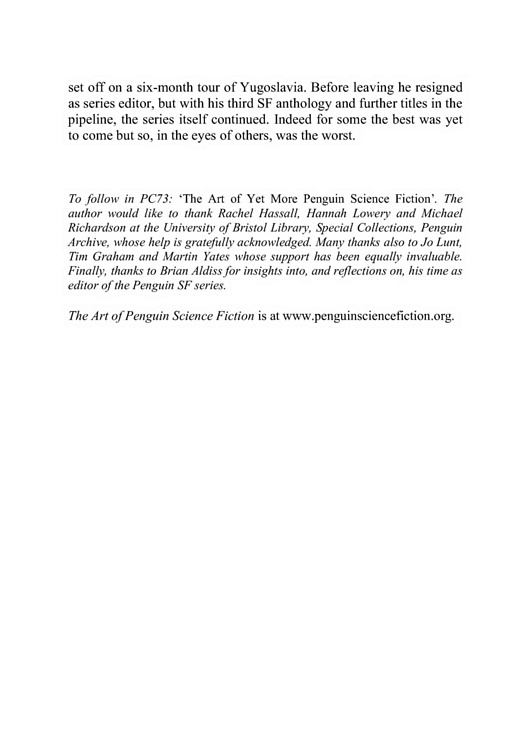 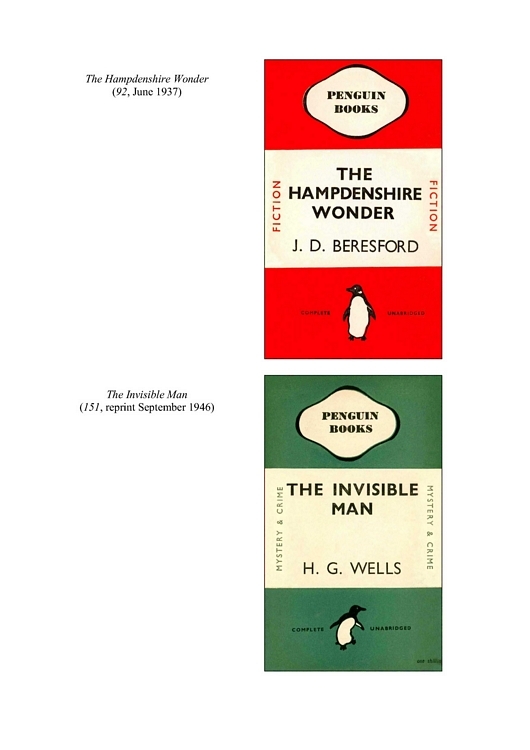 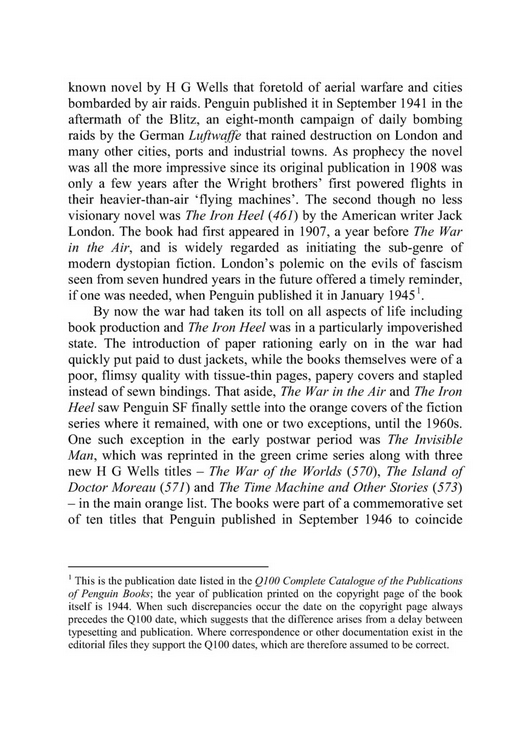 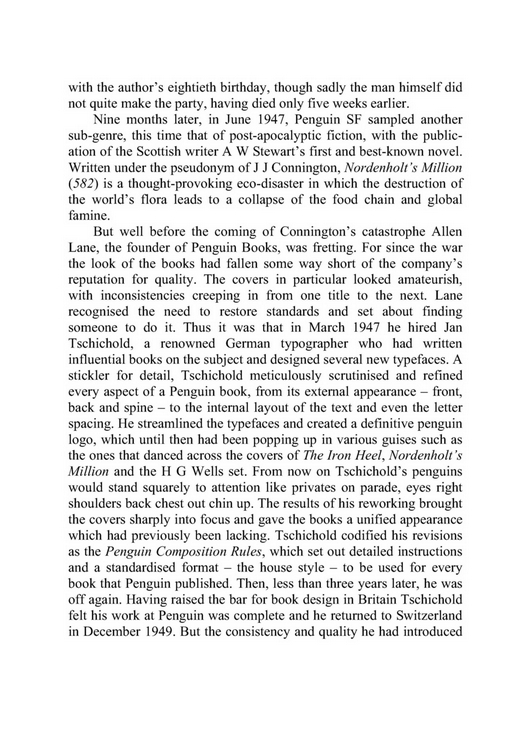 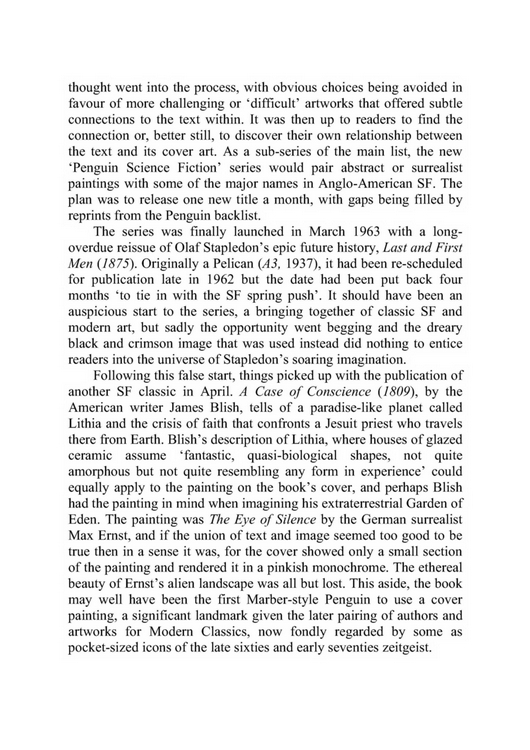 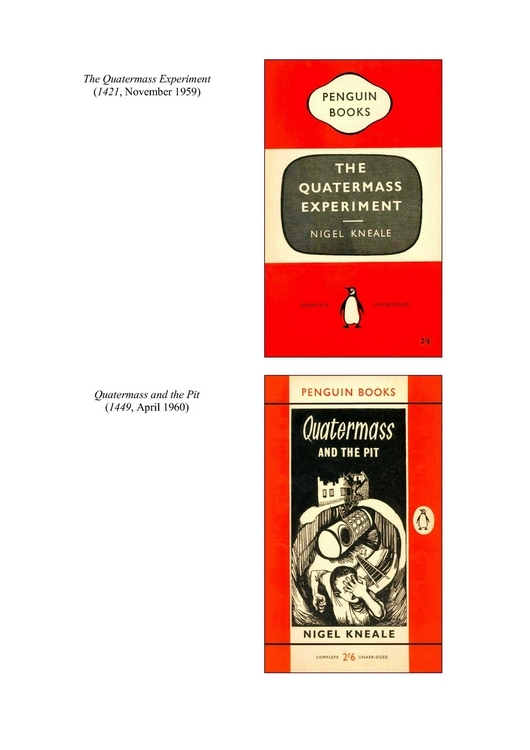 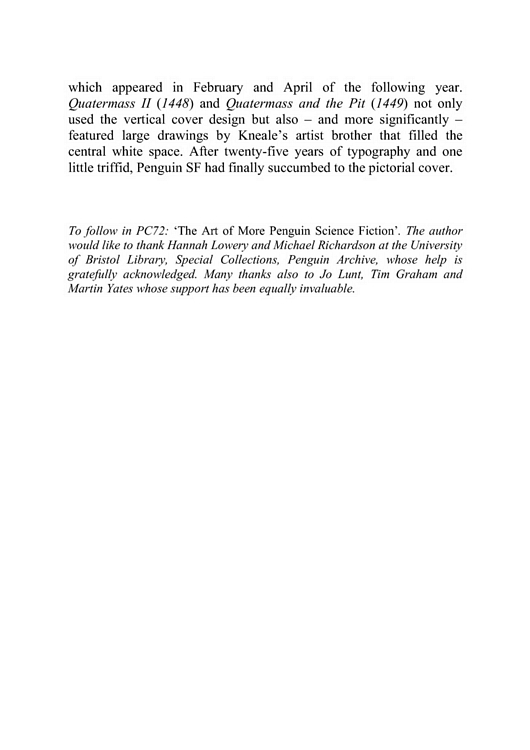 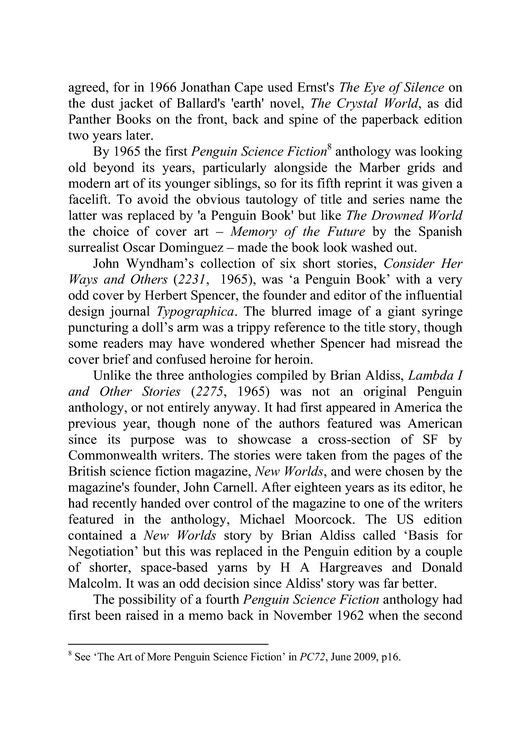 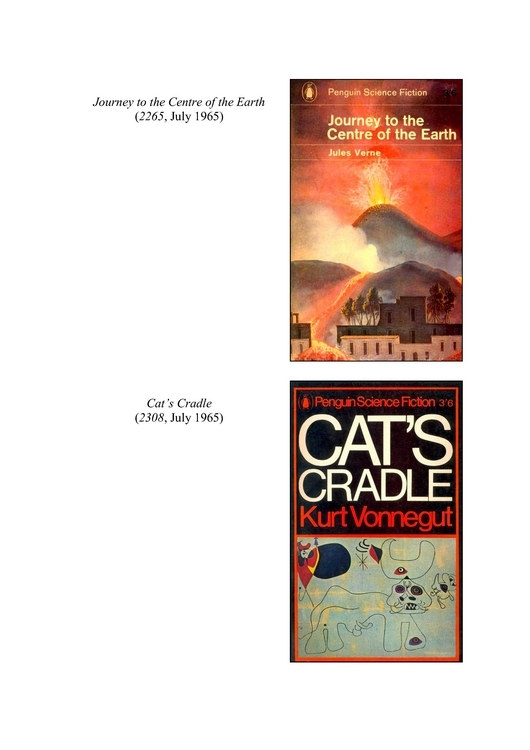 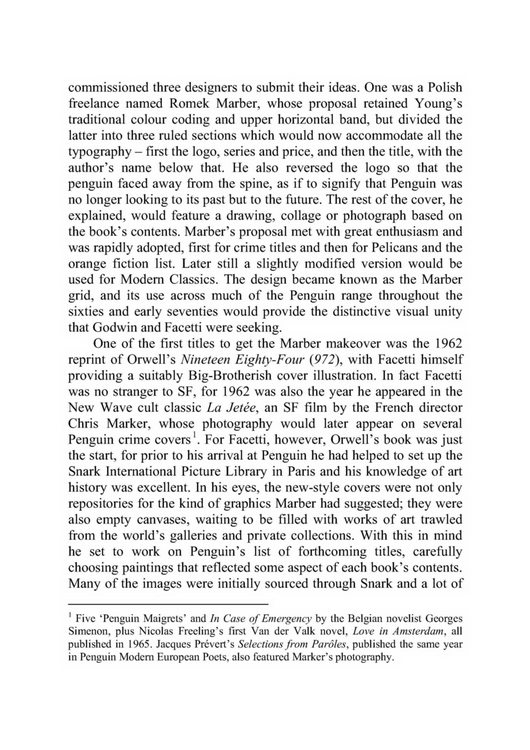 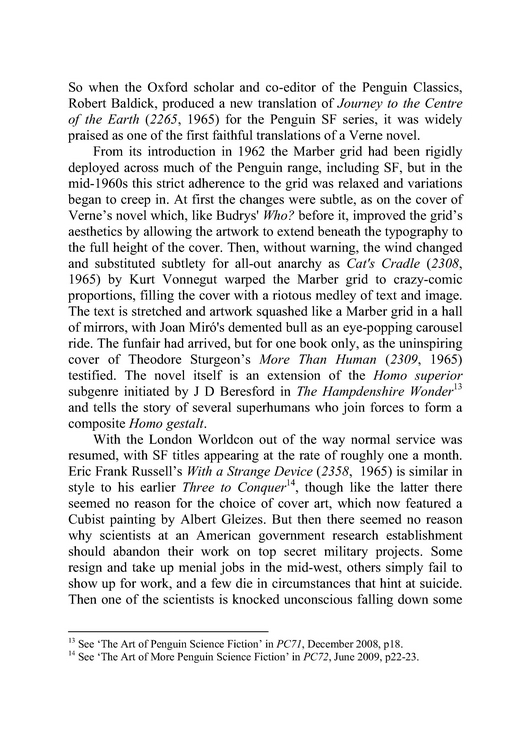 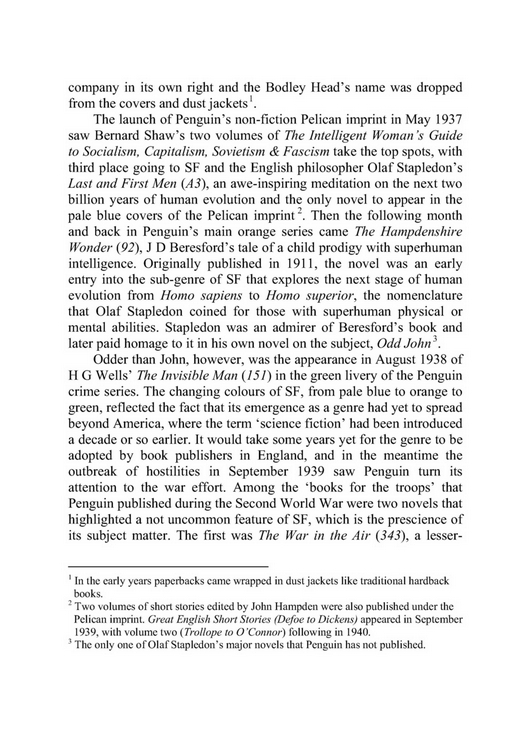 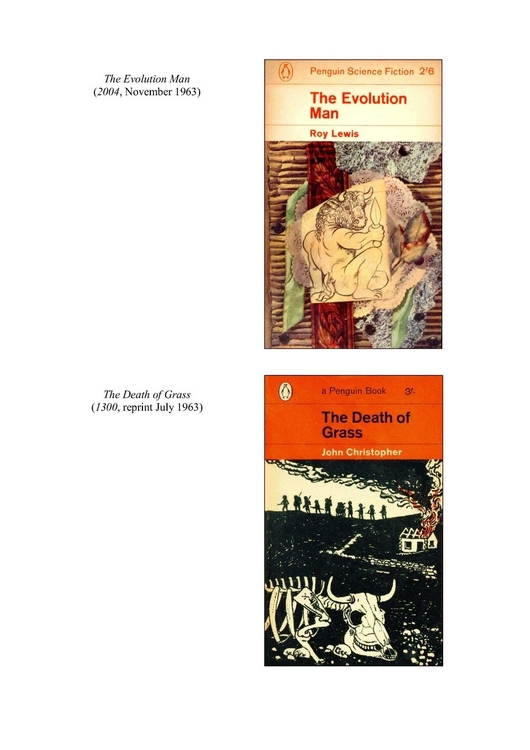 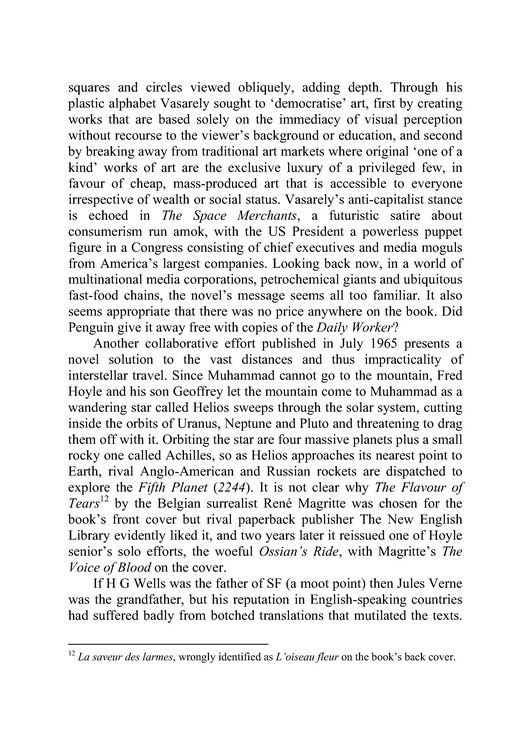 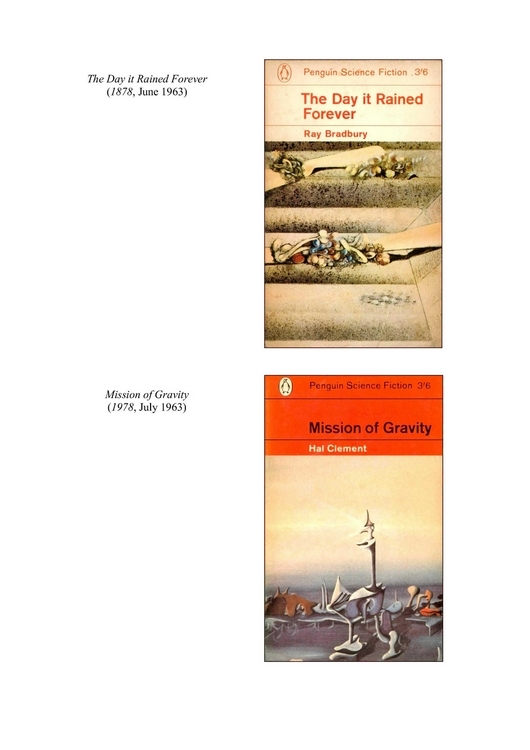 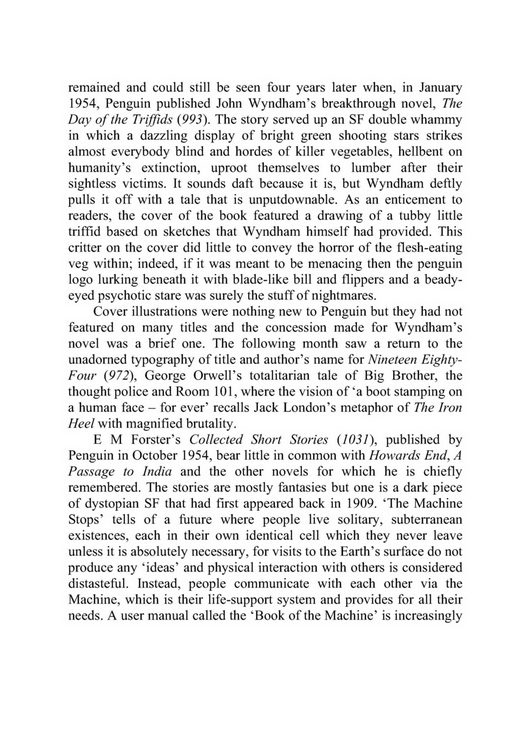 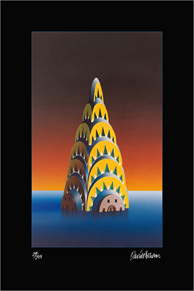 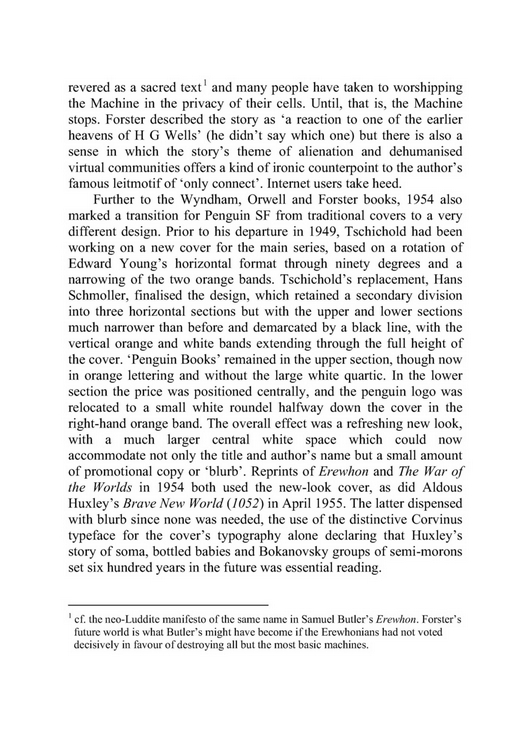 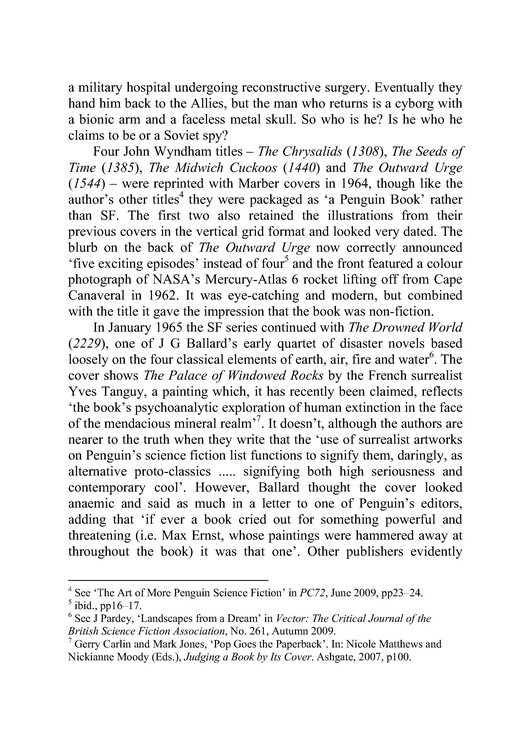 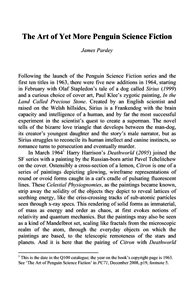 A version of the painting was used for the cover of The Pit and the Pendulum: The Essential Poe which Penguin published in 2009, while a variant in 2010 retained the sf strapline but used the 1940s landscape format of the Penguin Modern Painters series. 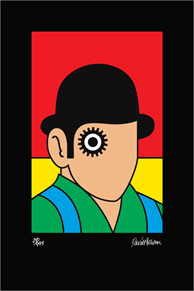 To mark the fiftieth anniversary of A Clockwork Orange in 2012, Penguin's former art director David Pelham released his famous image of the novel's cog-eyed droog as a limited edition framed print. 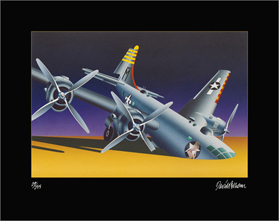 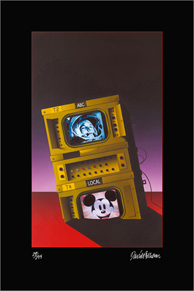 Limited edition print by David Pelham. 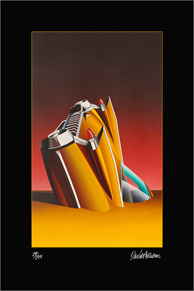 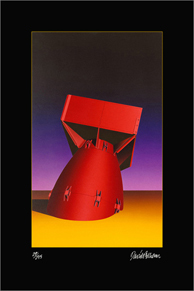 Pelham also released limited edition framed prints of his 1970s Ballard paintings. 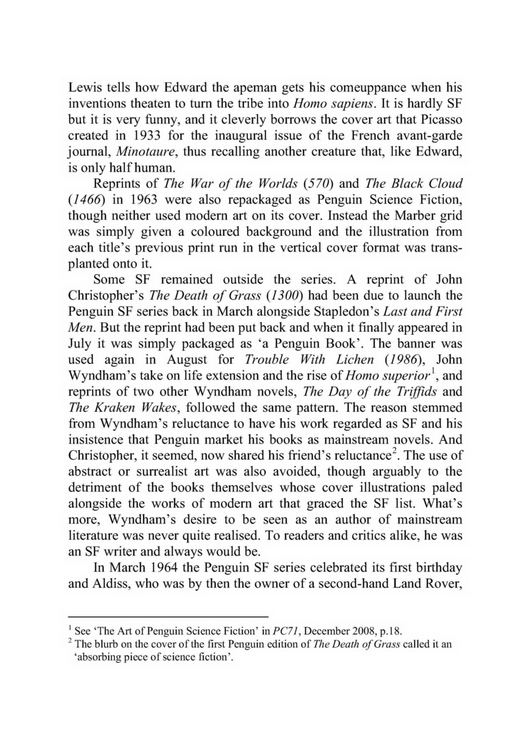 The prints are reproduced actual size from Pelham's original paintings, which Ballard described as 'tremendously evocative' and 'a remarkable series'. 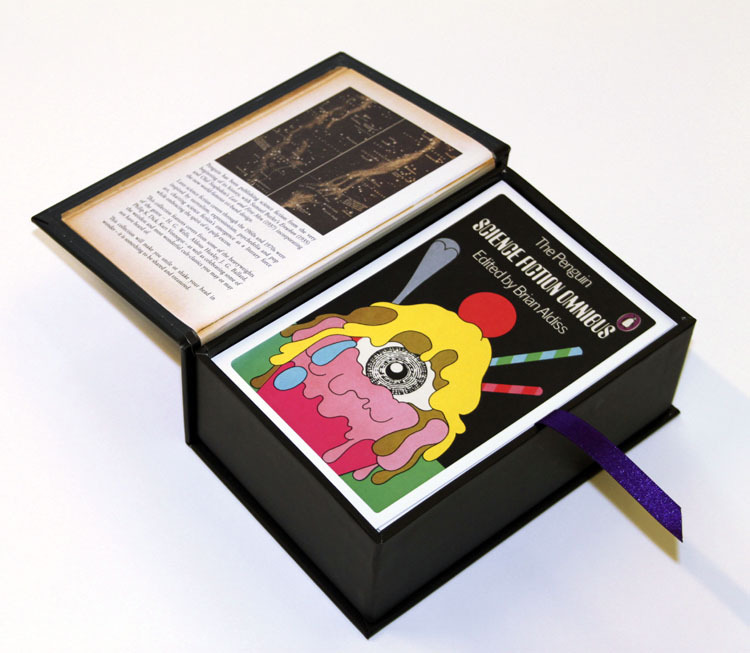 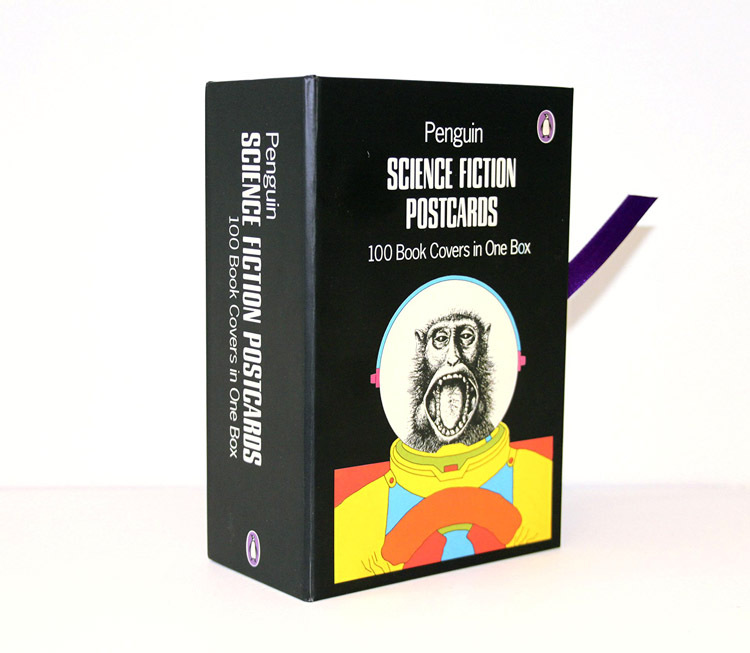 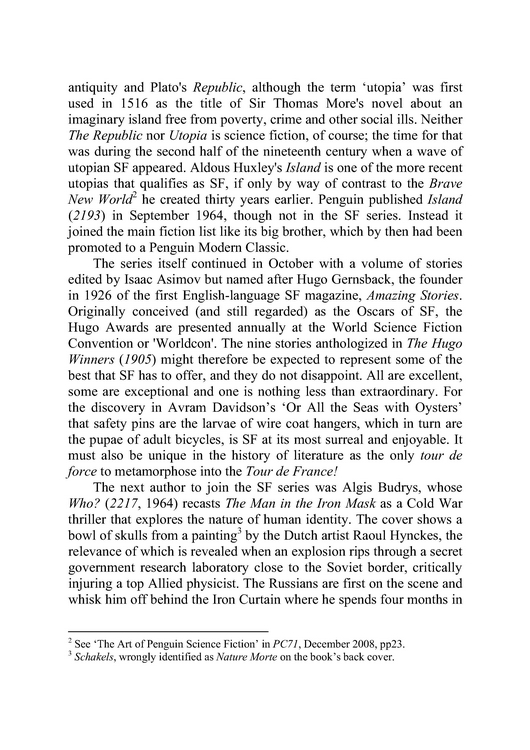 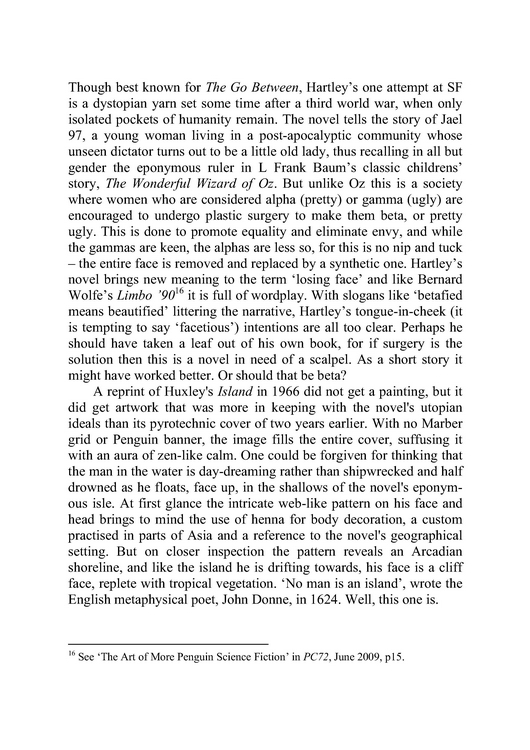 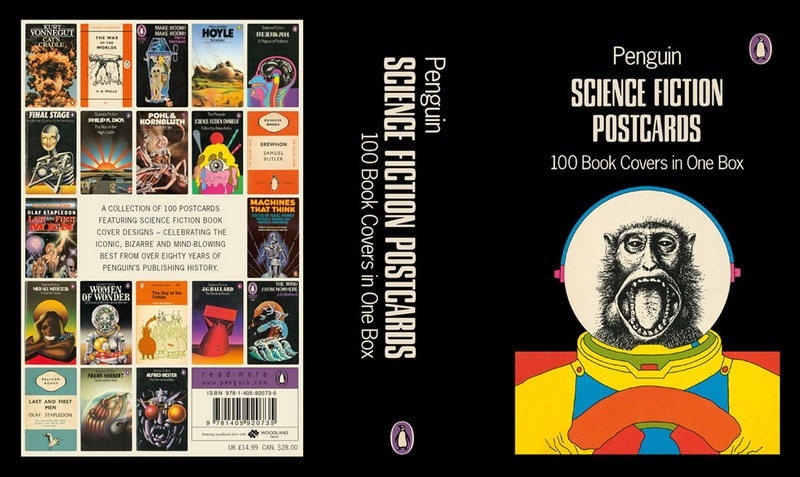 In 2015 Penguin published one hundred of its science fiction covers as a box of postcards, although two of the covers were included in error as the hardback edition of Ray Bradbury's Dark Carnival was published by Hamish Hamilton in 1948, and Borges' Book of Imaginary Beings is not sf. 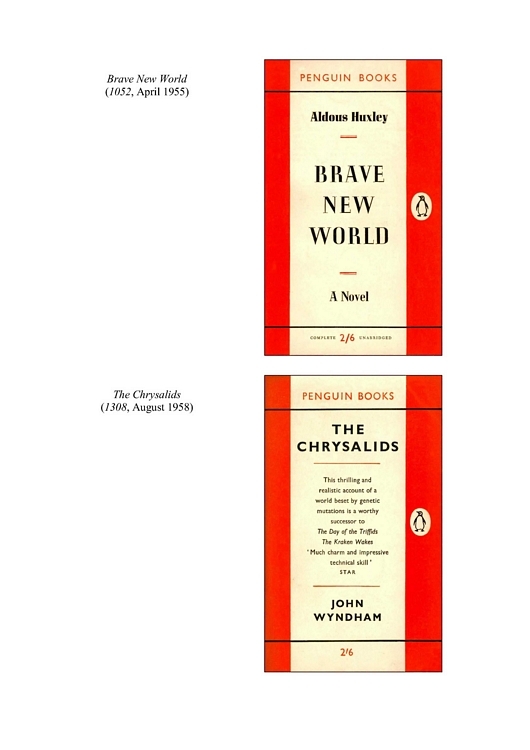 Published by Penguin September 2015.